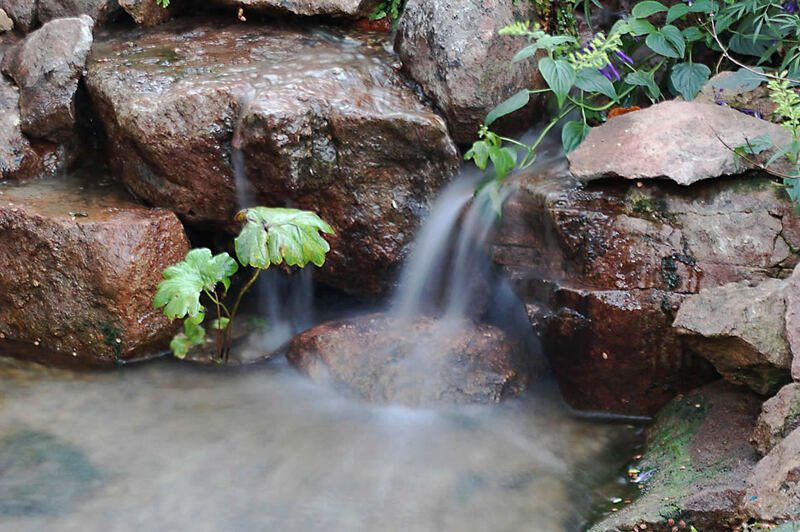 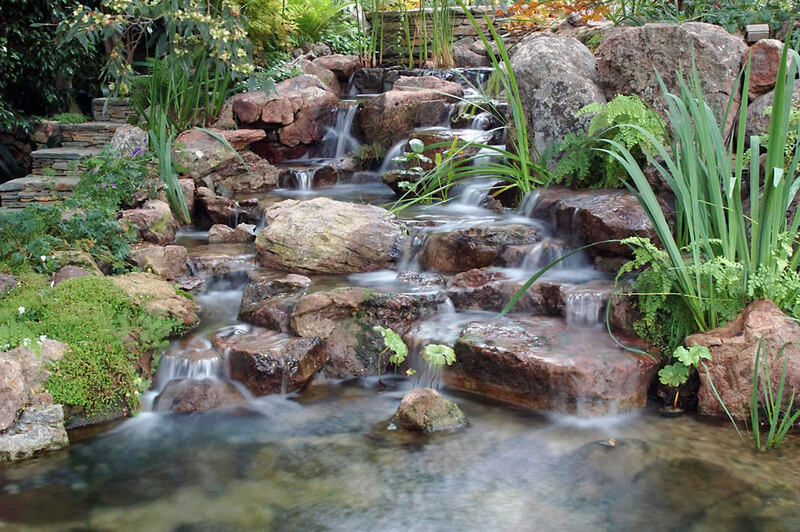 'A light sound of flowing water to read by' was the goal for this homeowner’s water garden. 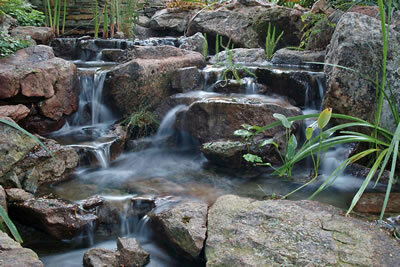 Nearly 50 miniature waterfalls are incorporated into a very small garden area. Water flow was tuned by ACS to produce different volumes and pitches of melodic sound, making a perfect place to relax with a good book.